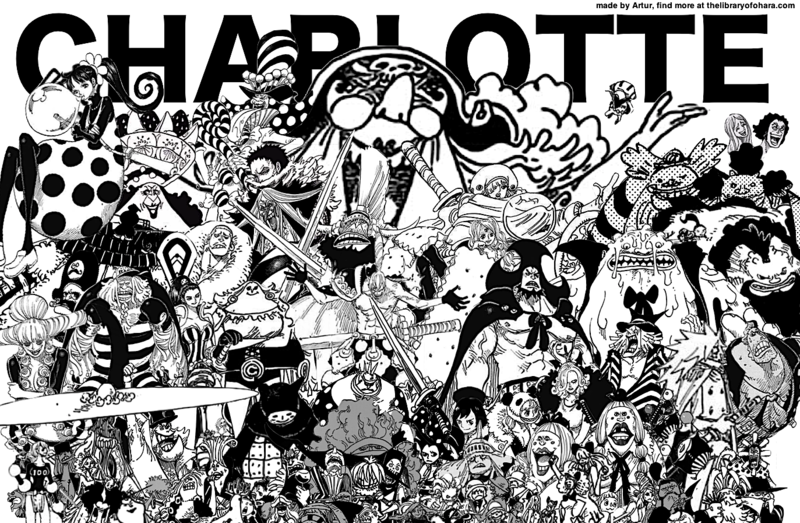 Every Member of the Charlotte Family all in one picture! This includes all named members as well as those who were shown alongside the other siblings and acted as such, unlike other random underlings of the crew. I also included some of the grandchildren that were seen in the arc, though I decided to exclude the husbands. Note that some of these may be unconfirmed as siblings depending on what Oda might say in the future, so take this with a grain of salt. Also, I apologize for the varying quality on some of the characters, that’s simply something unavoidable. Expect an update to the Complete Guide to the Charlotte Family soon! I really really really like this website. Being a fan of One Piece for about three years and getting to know this page! This has been a roller-coaster ride. I hope i see more from you in future and continue seeing you. I hope to do a lot more from here on out! It’s a great picture. Thank you very much. However, I may be blind, but I don’t see ex-commander Snack. He is there! Look under Compote and Flampé!